6 for $170.70 total Need more quantities? 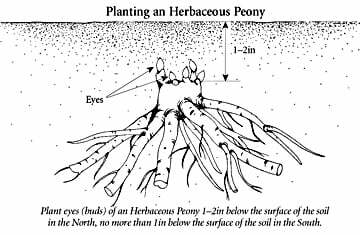 The huge blooms and glossy foliage of Peonies are an essential ingredient of every perennial garden. Their June display is the highlight of the early summer garden. This Peony offering focuses on older varieties that are superb garden plants but no longer command the front row at the garden shows. Included are three plants, all double-flowered, one each of a red, pink, and white. They are identified by color, not name, which allows us some latitude in mixing, depending on the harvest. Exclusive. 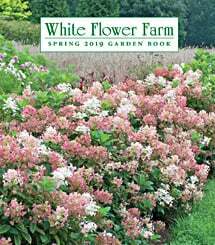 Please note: Don't be surprised if there are few or no flowers the first spring after planting; plants generally take a few years to settle in and bloom heavily. Still beautiful after 30 years! Originally bought this collection for my first house in late 1970s. Transplanted to my next house in 1989 and my current house in 2000. Inspired by my original peonies from WFF (which are still thriving), I have since expanded my peony collection to about 20 plants. Every June when they bloom, I enjoy their beauty in the garden and as cut flowers - and it all started with this collection. I look forward to these blooming every year and they are absolutely beautiful. They've filled in quite nicely and each year seem to double in size. Highly recommend! Love this collection! The three colors are a perfect combination for arranging together. Only one has a strong fragrance, so they don't compete for your nose. I am not a sophisticated gardner, but I planted these as suggested and they grew and blossomed the first year. The roots were marked with the color of the flowers, and that was helpful.